A2A could not happen without the hard work of its volunteers. 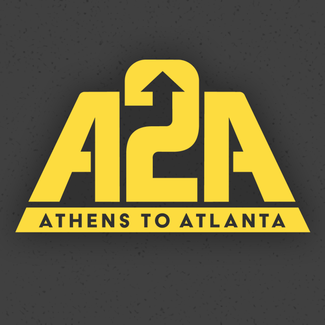 Once again, it is time to sign up for volunteer positions for Athens to Atlanta 2019, on the weekend of October 5-6, culminating with the main event, our 87, 49, and 38 mile distance skates on Sunday, October 6th. Purchase food, water, bananas and oranges. Deliver merchandise the packet stuffing party. Hand out Willy’s coupons to skaters, and inform them of the post skate dinner and drinks across the street from Skate Escape. Finalize route, review with APD, Lead skate, communicate with sweep. Manage red shirts to serve and direct. Round up skaters and drive shuttle bus to Athens following FNS & meal at Willy's. Drive 15-passenger van (10K Equipment/38 ATL Shuttle) from Atlanta to Athens. Ensure van is loaded with all 10K equipment. Help people use the parking lot space as efficiently as possible. Help ensure that cars do not exit on the course during road closure (9:45 - 11:30 AM), unless course is clear. Assist with packet pick-up, pre-registration, and timing/results as needed & requested. Help day-of operations move as smoothly and efficiently as possible. Assist in loading equipment into truck at Atlanta residence (address will be provided). Stand at corners of course to help police block traffic for skaters, and to direct skaters in the correct direction. Assist in teardown and clean up of 10K event site. Unload truck, hang banners, and set up vendor tables. Run and manage onsite registration at the Classic Center. Set up and sell A2A merchandise. Help with onsite registration and packet pickup. Clean up operations, load truck. Start line set-up, hang banners, set-up audio, coordinate with Athens-Clarke officers. Direct the loading of luggage and direct skaters to checkpoint boxes. Water and bananas. Apalachee Cycle, 2493 2nd Ave., Dacula GA 30019, 38 mile finish 7:30am - 1:00pm, skaters arrive 8:45am. CP3 is now combined with the half distance finish. Supervise set-up, tear-down and operations at the half distance finish. 7:30am-12:30pm. Help set up the 38-mile finish and CP3. Work as a team to set up EZ up tents, timing equipment, etc. Start 49-Mile Event at 9:30am SHARP. Staff Medical Area for skaters, half distance. Two people needed, tear tags as skaters cross finish line. Two people needed, mark finish times. Deliver water, food, mugs, finish line supplies to 38 finish. Pick up at packet party, Thursday night. Deliver water, food, mugs, finish line supplies to 49/87 finish. Pick up at packet party, Thursday night. Help unload truck, set-up tents. Stay thru first finishers (approx.. 1p) Four people needed. Staff Medical Area for skaters. Medical supplies provided by A2A. Prepare sandwiches etc. for finishers. Operate results tabulating system, post results. Coordinate with A2A and local establishment TBA for post-event party. Load trucks, break down tents, collect trash, and leave O4W Skate Park looking like we were never there. 4:30pm - 6:30pm. Water and bananas. Steel Inc., 405 N. Clarendon Ave., Scottdale GA 30079, First shift 10:15am - 1:30pm shift, skaters arrive 10:45am. Water and bananas. Steel Inc., 405 N. Clarendon Ave., Scottdale GA 30079. Second shift 1:30pm - 5:30pm. Haul garbage, return rental truck.